Feature: 1. Multiple Changing Tapers over each File's Cutting Blades. 2. Convex Triangular Cross Section Progressively Changing Helical Angle and Pitch. 3. Variable Tip Diameters Modified Guiding Tip. 4. No Radial Lands More Efficient Cutting Angle. 5. Improved Safety Short Handles Eight (8) Instrument Series. 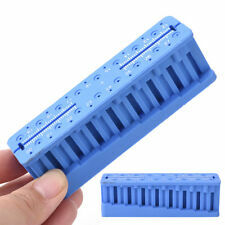 Packing List: 1pack of Rotary File (6 files per pack). NIti Endodontic Root Canal K Files (Hand Use), 25mm. Made of high quality Niti Alloy. 5X DENTSPLY (5 BOXES / 6FILES /PER BOX). With fixed plastic washer and handle. With diamond-shape cross section. 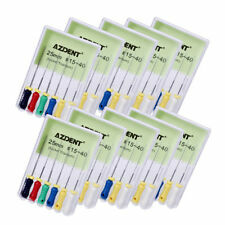 One Box of 6pcs High Quality Protaper Niti Hand Use Root Canal Endo Files. We are top manufacturer for a full line of orthodontic & Endodontic products. 19mm 25mm 25mm 25mm 25mm 25mm. Use 10# and 15# K Files to find the root canal. WAVE ONE GOLD DENTSPLY. 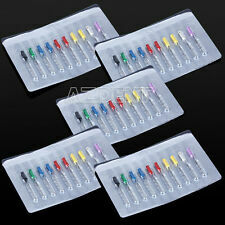 ENDODONTIC FILE 25mm Primary 6PCS! AUTHENTIC DENTSPLY FILES. RECIPROCATING FILE. expiration date:2022-03. subject to FDA regulation, I will verify your status as an. the item is. 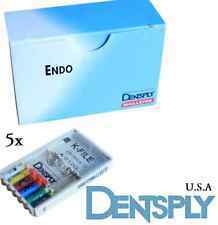 K3 Rotary Nickel Titanium Endodontic File 35 0.04 25mm SybronEndo 6/pk 0.30. Condition is New, one pack has one out of it. Shipped with USPS First Class Package. Model: Nouvag TCM. New, unused. Product Condition. 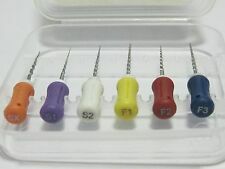 Lexicon FlexSSK Endodontics Files Size 25mm New Lot Of 5. Condition is New. All 5 boxes have 6 brand new files and all are included in this listing. Shipped with USPS First Class Package. Drills 4 pieces. 018 5 pieces. Trending at $10.52eBay determines this price through a machine learned model of the product's sale prices within the last 90 days. 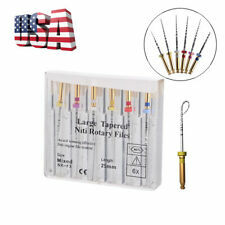 6 Pcs Dental Rotary Universal Engine Use Root Canal Niti Files 25MM Assorted. Material: NiTi. Model SX S1 S2 F1 F2 F3. For dental Engine Use. Taper 10 0.3 04 06 06 06. The sale of this item may be subject to regulation by the U.S. Food and Drug Administration and state and local regulatory agencies. #15-40, 25mm Hedstrom Files 6/Box. Stainless Steel. Dental Imaging & X-Ray. Dental Lab. Dental Supplies. We ensure expiry dates over 1 year for all products with an expiration date. Pennington, NJ. The sale of this item may be subject to regulation by the U.S. Food and Drug Administration and state and local regulatory agencies. Santa Monica, CA 90401. Lot x 9 Endo-pro H-Files Hedstroem 21 mm length. Stainless Steel Endodontic Root Canal K Files (Hand Use). Maximum temperature of sterilization is 150℃. Available sizes : 06 / 08 / 10 / 15 / 20 / 25 / 30 / 35 / 40 / 45 / 50 / 55 / 60 / 70 / 80 / set 15-40 / set 45-80. New generation material – 18k gold coated NiTi. DSI ApexFile Gold Rotary Shaping And Finishing Files. The system includes shaping and finishing files that create a sequence. It is designed to shape root canals in a reciprocating motion. 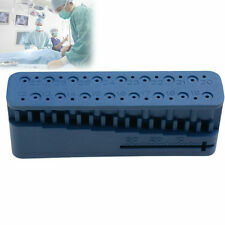 For irrigation of Root canals. Discard the needle after use. 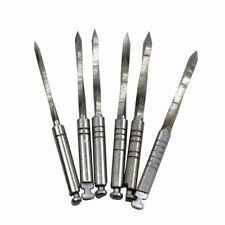 Used for cannal,perio,pocket safely and perfectly. If you are not satisfy with the goods. Size 45 /21mm. Rotary Files. The sale of this item may be subject to regulation by the U.S. Food and Drug Administration and state and local regulatory agencies. NiTi endo files unopened. Light Speed LSX 25mm in sz. Light Speed LSX 31mm in sz. Material: NiTi. For dental Engine Use. The sale of this item may be subject to regulation by the U.S. Food and Drug Administration and state and local regulatory agencies. Length: 25mm. F3 25MM (Blade length): Engine use finishing files. SX 19MM (Blade length): Engine use Shaping Files. For dental Engine Use. S1 25MM (Blade length): Engine use shaping files. S2 25MM (Blade length): Engine use shaping files. There are 43 files (25mm) total as follows 20 - qty 2, Sz 25 - qty 1, Sz 30 - qty 3, Sz. 35 - qty 2, Sz. 40 - qty 1, Sz. 45 - qty 5, Sz. 50 - qty 1, Sz. 55 - qty 5, Sz. 60 - qty 4, Sz. Sybron Endo K3 XF NICKEL TITANIUM FILE. The sale of this item may be subject to regulation by the U.S. Food and Drug Administration and state and local regulatory agencies. We will make sure that you will receive the product in Good Condition. Engine Use NiTi Super Rotary File SX-F3 25mm. F3 25MM (Blade length): Engine use finishing files. SX 19MM (Blade length): Engine use Shaping Files. For dental Engine Use. S1 25MM (Blade length): Engine use shaping files. Engine Use NiTi Super Rotary File SX-F3 25mm Size: SX-F3. Orthodonti c Dental Handpiece Oral Care Curing Light Dental Burs Dental Material. For dental Engine Use. S1 25MM (Blade length): Engine use shaping files. For dental Engine Use. Length: 25mm. S1 25MM (Blade length): Engine use shaping files. S2 25MM (Blade length): Engine use shaping files. F1 25MM (Blade length): Engine use finishing files. F2 25MM (Blade length): Engine use Finishing files. 21, 25, 28, 31 mm files. Each box contains 6 files. The sale of this item may be subject to regulation by the U.S. Food and Drug Administration and state and local regulatory agencies. Feature: Multiple Changing Tapers over each File's Cutting Blades Convex Triangular Cross Section Progressively Changing Helical Angle and Pitch Variable Tip Diameters Modified Guiding Tip No Radial Lands More Efficient Cutting Angle Improved Safety Short Handles Eight (8) Instrument Series Specification: SX 19MM (Blade length) S1 25MM (Blade length) S2 25MM (Blade length) F1 25MM (Blade length) F2 25MM (Blade length) F3 25MM (Blade length) Packing List: Rotary File 6 PCS 10 Packs. (Dental NITI ENDODONTIC DENTAL K-FILES #15-40. NIti Endodontic Root Canal K Files (Hand Use). It is mainly for your piece of mind and comfort.). Maximum temperature of sterilization is 150℃. WaveOne Gold Large reciprocating endodontic files. Successful rate is low. This kit is much much better and easier to use than dentsply, sybron endo kits that costs more than double price for each kit. Look out for knockoff kit or made in china with inferior quality. Dental Endodontic K-files. 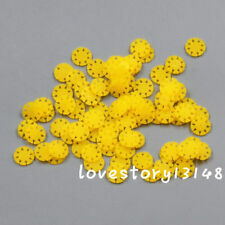 size - Assorted #15-40 (25mm length). FKG Dentaire. Swiss Dental Products. 25mm I.S.O. Sizes- 10,15,20,35,40,50,55,60. Each box has 6 files with rubber stoppers making it a total of 48 files. The sale of this item may be subject to regulation by the U.S. Food and Drug Administration and state and local regulatory agencies. FKG Dentaire. Swiss Dental Products. 25mm I.S.O. Sizes- 15-40. Each box has 6 Headstrom files with rubber stoppers making it a total of 24 files.